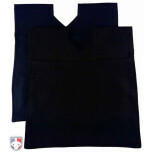 Umpiring with a vinyl umpire ball bag with pouches on the outside is a sure way to show your inexperience as an umpire. 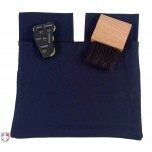 Instead, wear professional umpire ball bags made of cloth exteriors with pouches on the inside for your plate brush, indicator and more. 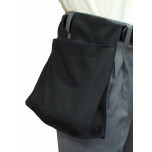 The Smitty Pro Style Ball Bag provides the basic features of a professional bag in a value price. Upgrade to bags with waterproof lining found in the Force3 Dry-Lo Bags preferred at professional levels or the Smitty Deluxe XL that expands to hold more baseballs or softballs. 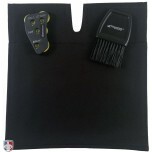 Most match their ball bag color to cap color making black and navy the most popular choices. Bag is too small. I had issues getting two softballs in and out of bag. 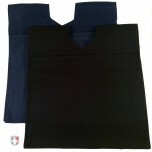 The smaller pockets inside were small as well. Good construction and appreciate the moisture proof material. My only issue is, if you have larger than typical hands or are wearing gloves due to weather conditions, the opening is a bit tight, making it difficult to remove a ball once held on hand like trapping a monkey! Nice Color and feel. 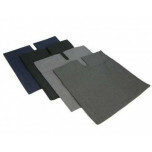 Good size small pockets for pencil and book.